We’ve all done it, we immediately tried to take to the sky with a new drone, promptly crashing. 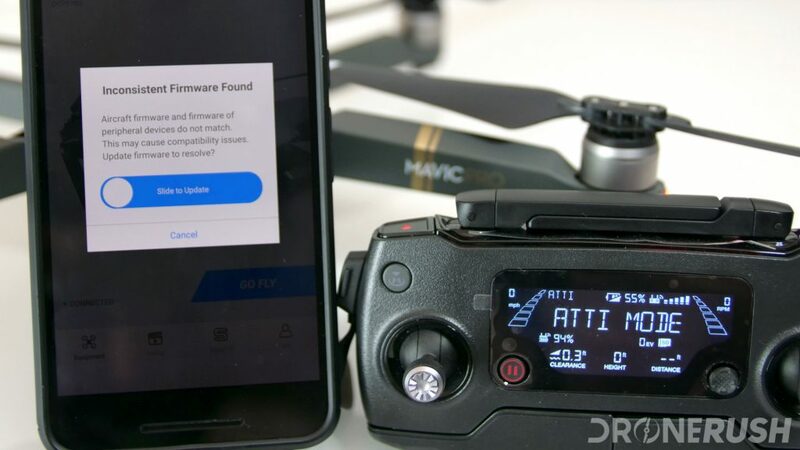 It is easy to make a mistake flying your new quadcopter, so here are a few of the most common errors and what we recommend you do to avoid them. Luckily, the majority of mistakes on our list are the sort of common sense stuff that will make perfect sense to avoid when you recognize the situation. The problems may be straight-forward, but you might be surprised at how and when they show up – allow us to help you prepare for most potential eventualities from the sky. No changes to our list of tips and tricks, but we thought we would inform you that the FAA is taking a more active stance on penalizing illegal flights. The rules are fairly easy to follow, now might be the time to brush up on them, just in case. Update: December 2017 – You need to register your drone with the FAA before you fly! May 2017: (Now reversed, but I’ll leave the info here for the record.) You are no longer required to register your drone with the FAA. The registration is now optional, and recommended, but not legally required. Note that registration is optional, but the rules of the air are still in effect. Fly safe or you can face fines. The short version of the controlled airspace situation is that you cannot fly within 5 miles of an airport, at least not without first calling in to inform your intent to the local air traffic controller for where and when you will be flying. The FAA has a list of no-fly-zone areas that should help you keep safe and legal. Bottom line, you cannot just go outside and fly wherever you wish, unfortunately. But the rules are fairly easy to comply, just think safety and hopefully the rules don’t deter you. I understand the urge, I really do, you have a great new flying camera or toy drone and you want to put in the air as soon as possible. Please, do not throw caution to the wind, if conditions are not right, do not attempt to fly. I learned this the hard way myself. I had a simple $30 drone that I just wanted to see how it handled, it was a windy evening, but I took the risk. No word of a lie, less than 45 seconds in the air, the wind was beyond the toy quadcopter’s capabilities and I had to go climb a tree to recover the thing. The very next morning conditions were perfect and I got to fly safely. The tricky thing about wind, that you probably already know, but may forget in the heat of the moment, the higher up you fly, the stronger it is. Ground conditions may be acceptable, but that may not be true higher up, so take note before you fly. I don’t have to tell you to stay clear of things like trees and power lines when you take to the sky, but these obstacles can quickly creep up on you during your flight. 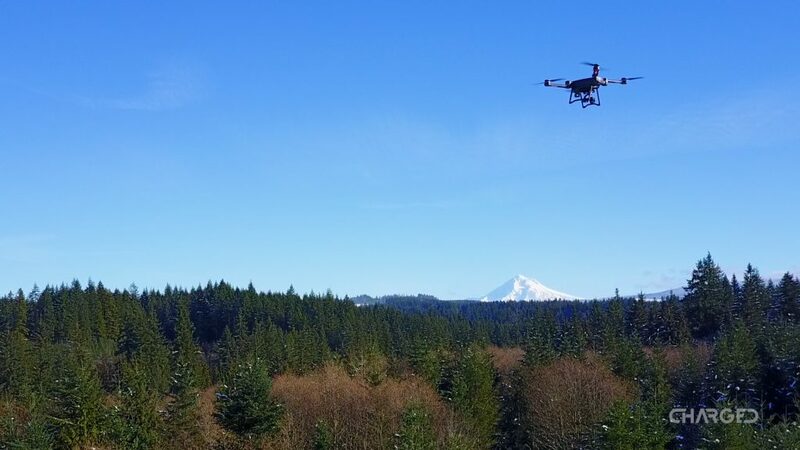 Wind is the leading cause of a drone veering off into the trees, but there are other factors that you should be aware of. 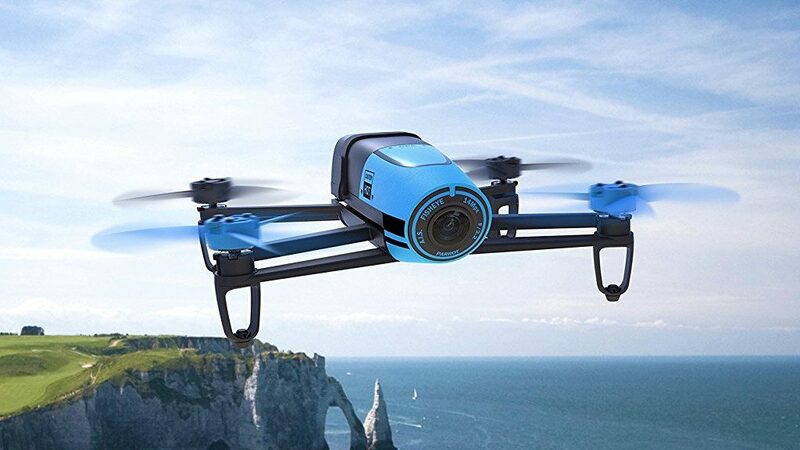 For me, the second most problematic item is the convenient return-to-home (RTH) feature on many new drones. I had an experience once where I was manually landing a drone, I had it no more than 18-inches from the ground and was actually just hitting the joystick to take it down when the low-battery RTH mode kicked in. The drone shot 60 feet into the air, maneuvered less than 3 feet over and came back down to auto land. 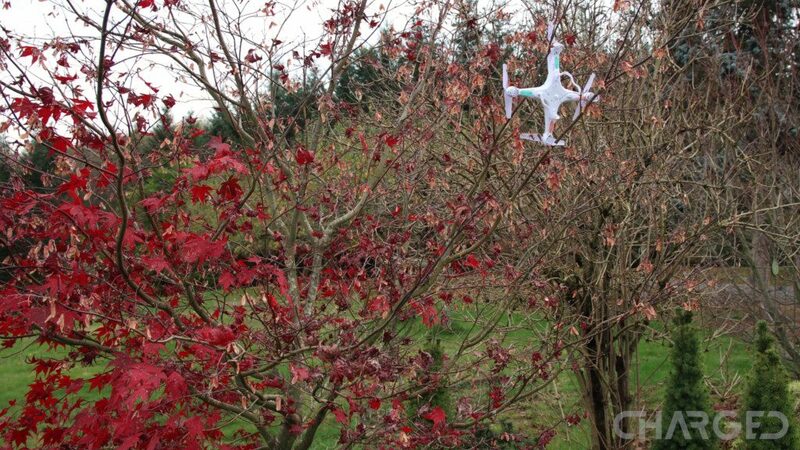 This drone did not allow me to override the RTH, I was at the absolute mercy of the auto-pilot – luckily I was taught to avoid taking off anywhere that has an obstacle above, but still, the neighboring trees were a lot closer than I wanted them. I never wanted that drone to go above 6 feet for that flight. 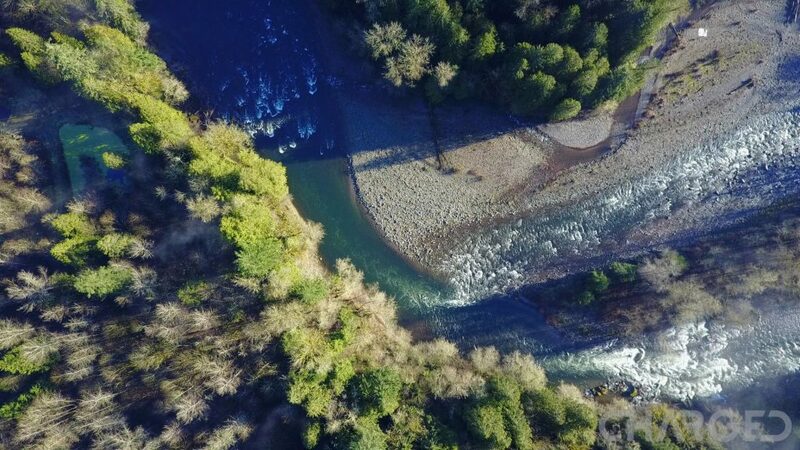 RTH produces another risk – this one should be more straight forward: most drones recognize that they are at point A, and home is at point B, if there is no obstacle avoidance sensors on the craft, you best ensure there are no obstacles between your drone and where it calls home. Finally, consider your control range and potential interference. That toy class drone I mentioned earlier, the one I flew in the wind, into a tree, it has a rather small operating range, about 60 feet. 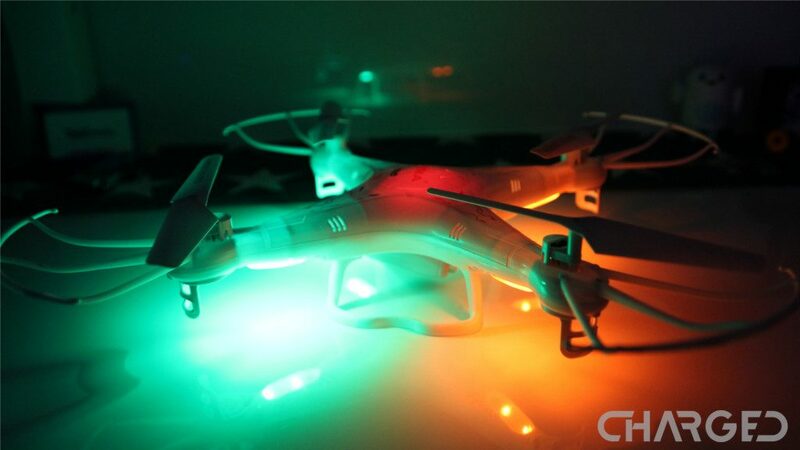 It is easy to fly to the edge of its connectivity, and when it gets there, the drone doesn’t just stop, despite loss of connection to the controller, the drone just keeps going for a few of the longest seconds of your life, then cuts power and drops out of the sky. If the edge of your range is semi-close to a tree line or other obstacle, please be careful. I think I just explained this one – simple enough, most drones will advertise their effective operating range. When I say range, I am not talking about how much ground it can cover before the battery runs out, I mean the straight line distance between the controller and the craft. Stay within the listed range and be prepared to run toward your craft if you slip up. As per the FCC, all radio frequency electronics in the United States must accept interference. While the FAA would like for anything in the sky to not experience interference, it happens. It actually happens a lot, get used to it and prepare for it. This is particularly true of video feeds if your drone is equipped with a FPV camera and live-streams video to your phone or the controller. Obviously you should try to avoid flying places that have a high natural magnetic interference, it messes with the GPS. You will find that flying close to large structures, power lines or radio towers can be really bad. In these instances, your drone may fail to fly stable and you may actually lose control of the craft for spells of time – I hope I don’t have to tell you that that is a bad thing. There are things you can do to mitigate these problems, but the simple solution is to consider these places unsuitable for flight. One of the most common mistakes a pilot can make is to fly too close to the ground. Keeping it low sounds like a safe thing to do, especially for first time pilots, but you are creating one of the least stable flying situations possible for a drone. 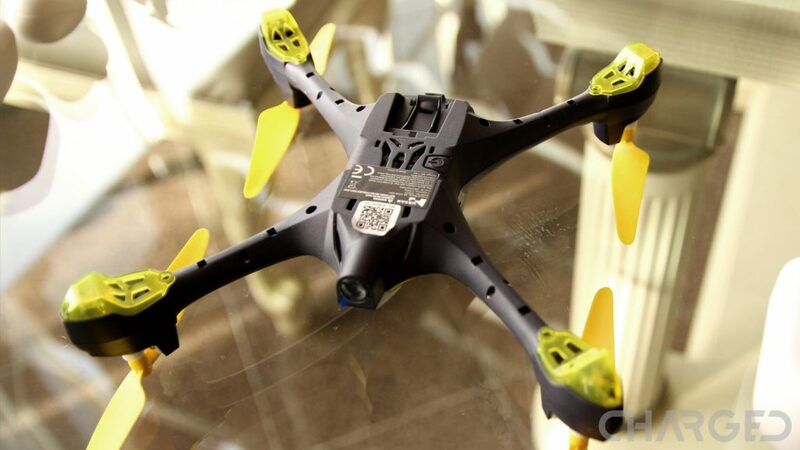 It boils down to the physics of quadcopter flight. As the propellers spin, they move air downward with enough force that the craft can take off of the ground; when close to the ground, that air bounces back up to the craft. Two things happen when you hover close to the ground: First, the drone is given an extra boost, that high pressure air helps keep the drone aloft, even though you don’t actually have enough throttle to sustain flight. 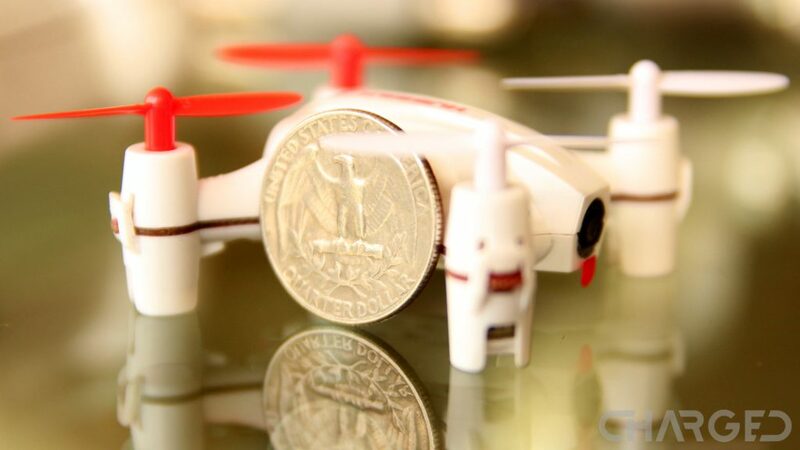 You can test this with a nano drone in the house. 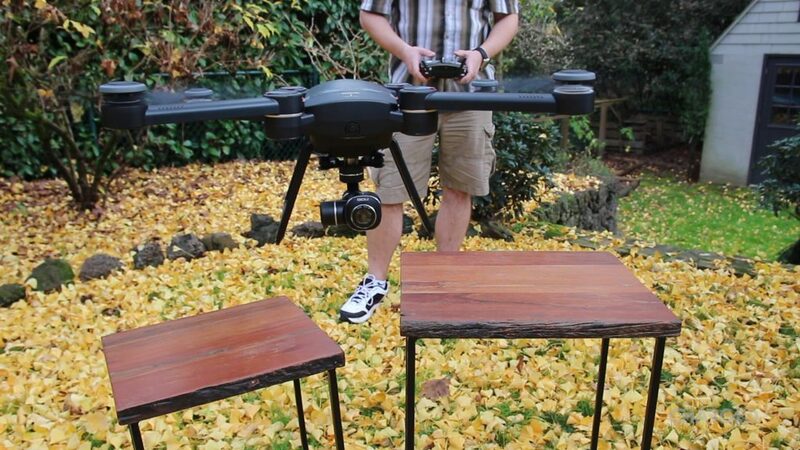 Hover as low as you can on a table or counter, slowly navigate off the edge, the drone will drop to the floor, the propeller wash kept the drone from landing on the table, but there was not enough power to actually fly. Second, and this is way more important, propeller wash is extremely unstable. 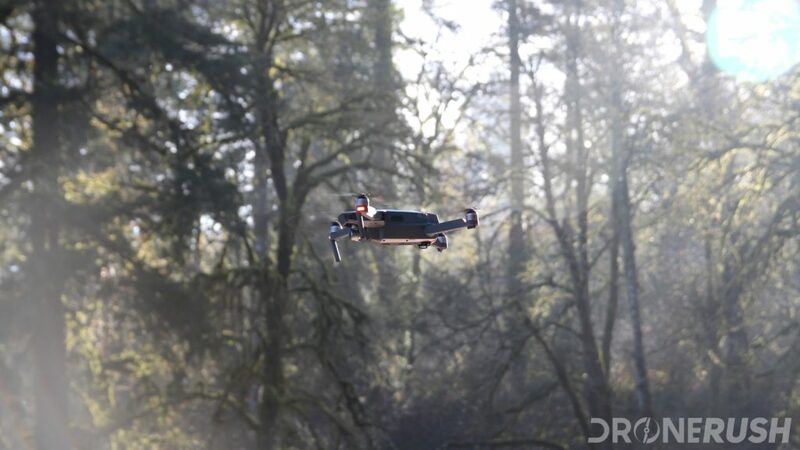 I’ve seen drones hovering low that all of a sudden whip into a spin or even completely flip upside down. Remember, your drone is producing enough air flow to lift itself into the air; if that air bounces off the ground back up into your craft at a weird angle, strange things can happen. For most drones, you should be safe once you are a few feet off the ground, but I might suggest what my DJI flight instructor taught me, take off, immediately go to about 7 or 8 feet in the air, hover while you re-asses your surroundings and see how things like wind are affecting your craft, then continue your flight from there. I don’t want to get too technical here, but please keep in mind that wind and air temperatures will greatly affect your flight. Wind is really straightforward – it’s stronger the higher up you are, but it’s unpredictable, it’s powerful and it can make for a bad day. 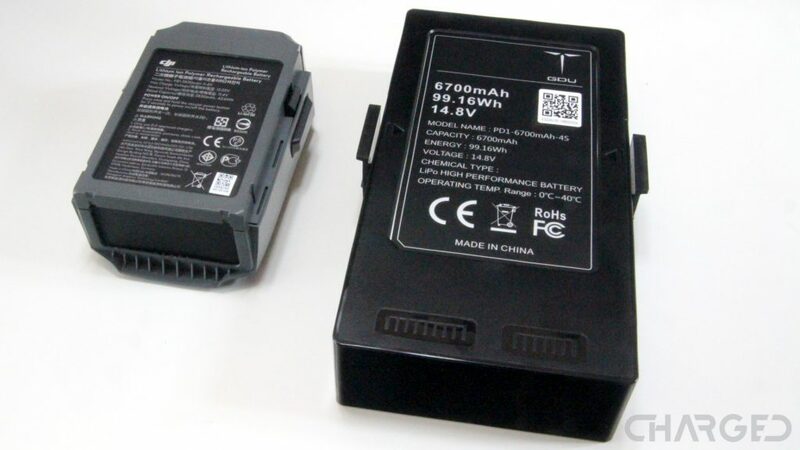 Another thing about wind you may not think about is how much battery power it takes for your drone to fight wind. Take note of wind direction and speeds before you take off, make sure you’ve got enough battery to get back. Have you ever seen a hang-glider in action? What about an eagle or hawk soaring? These are made possible (largely) thanks to pockets of warm, rising air. Often found over hillsides, these thermals are extremely powerful when harnessed properly. There’s a good chance that your drone does not have a large surface, like a big airplane wing, to catch a thermal like this, but there is enough to make a difference. When flying around hillsides, particularly if you come over the edge from the crest of the hill, expect some turbulence. This can also be true when flying over altering terrain, for example, flying from the beach out over the water or from over top of cool grass to over top of hot concrete of a road or parking lot. There will be different air temperatures and potential for thermals. A thermal truly poses minimal risk to the types of consumer drones we’re taking to the sky today, but a bump in your otherwise perfect video capture can be avoided, at least, or take advantage of the thermals to get more flight time. Finally, air pressure is drastically different at different air temperatures, with all else being equal, you would find that your battery would last longer on a cool day than on a hot day. The denser air makes it easier for the propellers to create the lift needed to fly. Isn’t physics fun?!?! This sounds like terrible advice, at least it sounds rude to your fellow human beings. Truth is, flying a drone is an experience that should be had from start to finish. Think of each flight like driving a car: you are welcome to trade off with others, but not while the car is in motion. Land the drone before handing over the controls. If nothing else, you know for sure who crashed it if anything goes wrong – no need to add the risk of a bumped lever while handing the controls over. When I tell you to fly alone, I mean to stay away from the local drone park until you know your craft. 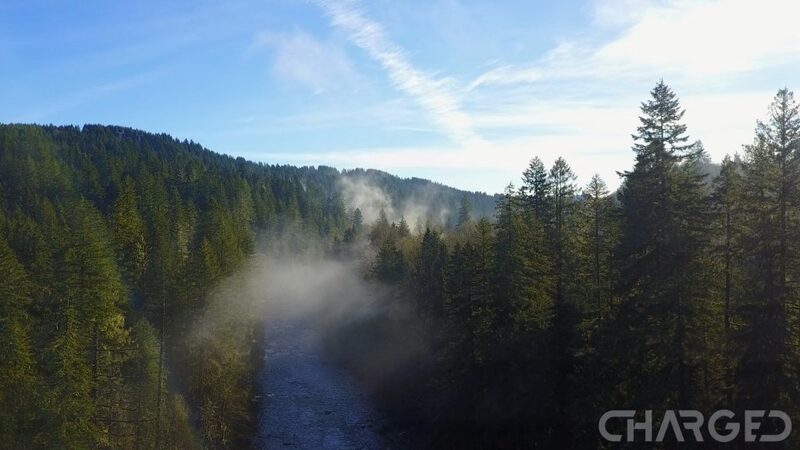 You do not need the added confusion and commotion when you first put your drone into the sky. This goes for anything that may require your attention, pets and children, for example. 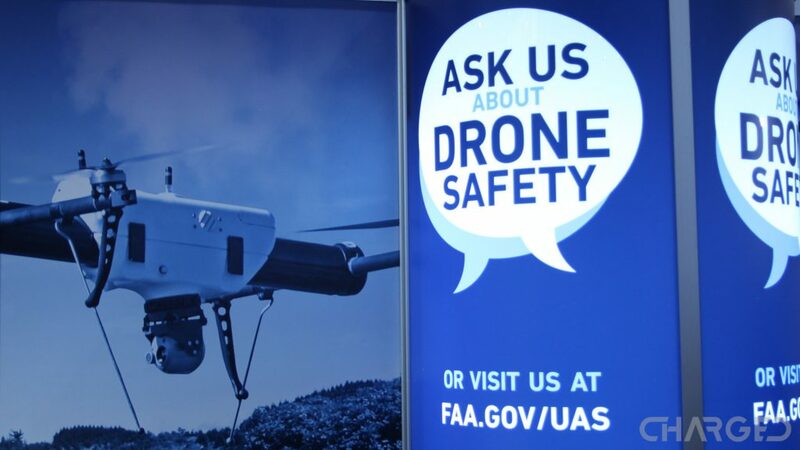 Remember, the FAA says you are solely responsible for everything that drone does until it is safely back on the ground. You legally need to give your drone your full attention and you should not take off if anything may pull you away before landing. I hope you grow to be able to fly with others, however, as it can be tons of fun. Reiterating what I just talked about, practice makes perfect, or at least can help make sure you are familiar with your flying machine when anything funny happens. In addition to simple practice, have you considered starting on a small device? 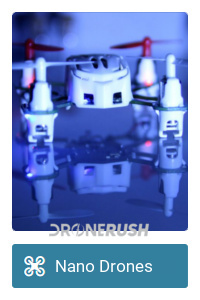 We highly recommend that your first drone be a toy-class unit that is, for all intents, disposable. We have a list of cheap drones you can start looking at, just inexpensive fliers that you can get the hang of things on. To this end, we also recommend starting on something with less power. I know, you learned how to drive a car by sitting into a race car or fancy Ferrari or something, but we recommend starting small and working your way up when it comes to drones. There are powerful and fast machines out there, why not have a solid idea how to work them before hitting a wall? Sounds like a straight forward idea, but if you are like me, you often forget to check for updates before you leave the house. Needless to say, burning up a battery, mobile data and time while in the field is a huge annoyance. You can easily avoid this grief with a quick plug into your PC and/or check for updates for the mobile app. We’ve covered how to update the DJI Mavic Pro and Spark, your other machines should be, conceptually, similar. Continuing the idea of being patient, apply that to power as well. You may be tempted to take to the sky with less than a full charge. 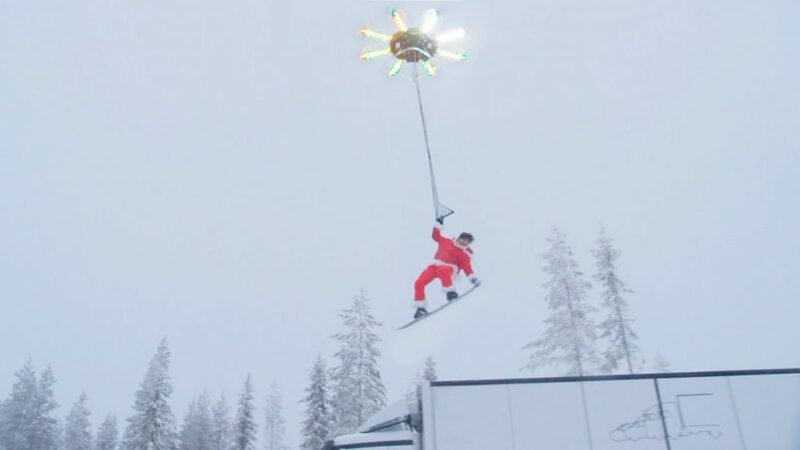 I’m not saying this is a bad idea, but there is no doubt you’ll have fun while the drone is up and will wish the battery lasted longer already. There is huge risk in running a battery low while in the air – these machines don’t just slowly drift to the ground when power gets down, they simply stop and drop. This goes for the drone and the remote control. Remember that it is your legal responsibility to ensure that your machine maneuvers and lands safely, you should not take off if you do not think you can land. Taking off with a full charge on all your equipment is the easiest way to mitigate an incident. 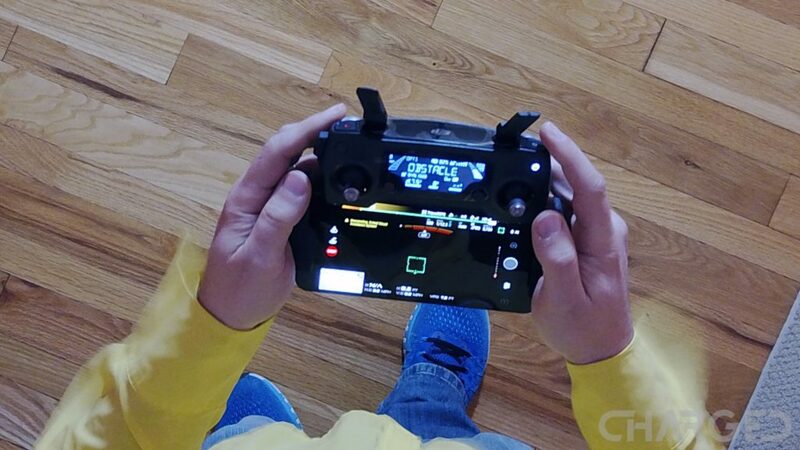 One of the primary reasons we recommend learning to fly on a low-cost toy drone is that they do not offer an abundance of autonomous flight modes. There is no doubt that autonomy, especially the ability for a GPS-enabled drone to hover perfectly in place, makes flying extremely easy. 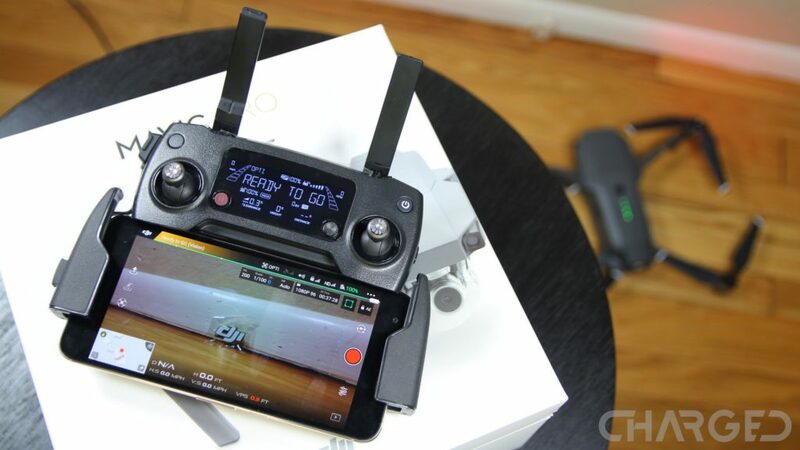 In truth, almost anyone can fly the DJI Mavic Pro – tap the button to take off, it hovers with extreme accuracy, then press the button to land almost exactly where you took off. Using the Mavic Pro for your first flight is so simple, but what did you learn? More important, what will you do if those AI features fail? Once again, practice is the key to future successful flights, over-dependence on AI is not practice. The general idea for many of us is to capture great photos and videos from the sky, this is fantastic, but remember that basic photography rules apply. 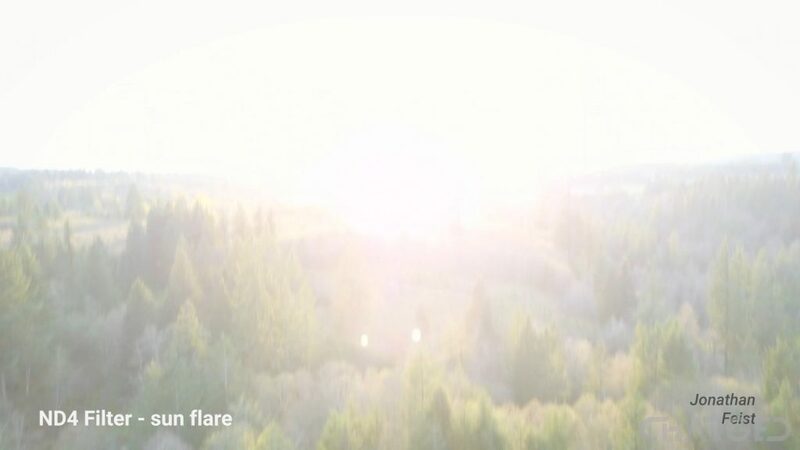 For the vast majority of drones, your source of light for image capture is the sun. That bright orange ball is both amazing and destructive when it comes to cameras, and with any sort of cloud, lighting inconsistencies can ruin your shot. This is a reality, we just have to work with it, my advice is to take a moment to plan your flight before you take off. Shooting while facing the sun can be a problem for contrast with a bright sky and dark ground, shooting with the sun on your side can put some weird shadows on objects or cause flares on the lens of your camera. Shooting with the sun behind you is ideal, just then be aware of the shadow of your drone; it can get into frame, which I think is cool, but you may not. Aside from photography, the sun offers another serious consideration, it’s bright. Have you ever sat out on a lawn chair and just stared at the sun? I sure hope you haven’t! Remember, to fly legally, you must fly in line-of-sight – this means you need to be able to see your drone at all times. If your drone is in the air such that finding it by eye means you need to stare into the sun, I hope you see what I’m trying to say. Take the time to plan your location and your flight path, consider sun glasses and a hat, do whatever you need to protect your eyes and your drone at the same time. One of our recommended accessories is a sun shade for your remote control. Using the FPV camera to see what your drone sees is a great way to help when things like the sun are causing you grief, a little sun shade will help make sure you can see your display without issue. Just remember, the video feed has a delay and should be used as your secondary visual method of flight. We just threw a ton of info at you, it can be a lot to take in, and weeks, if not months to master it all. I did say to be patient, didn’t I? 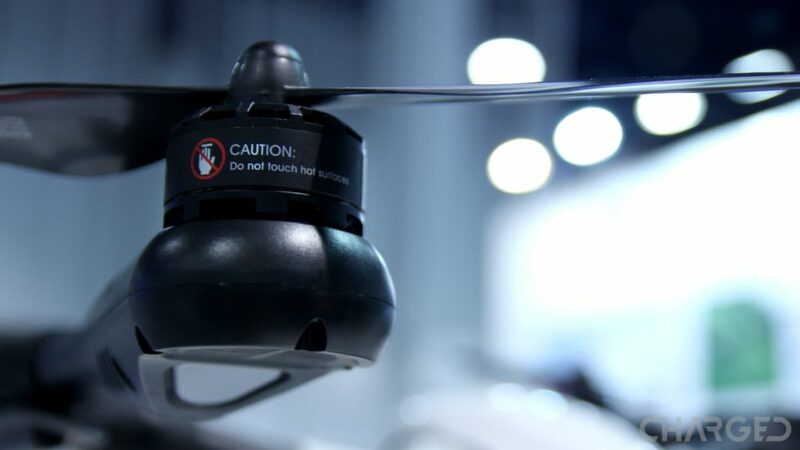 Please take the time to make sure that conditions are right for a safe flight, and be sure to follow the rules – the FAA is not now actively out there hunting for drone pilots to penalize, they have been handing out some steep fines for overly unsafe violators. If you keep safety in mind at all times, primarily the safety of others, we are sure you can enjoy some amazing time in the air. Did we miss any key tricks that a new drone pilot should know before they put a machine into the air?